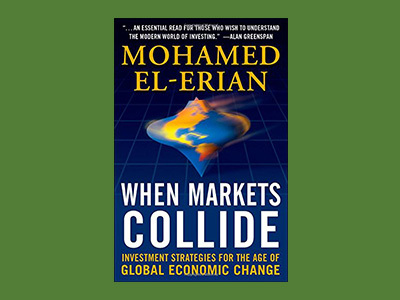 Written by the man who Fortune magazine refers to as a “Global Guru,” When Markets Collide offers a cogent picture of the rapidly changing world financial system. A book that is sure to become an overnight investment classic, it gets you up to speed on the new economic and investing landscape and provides a detailed blueprint for capitalizing on the phenomenal opportunities now available in that new investment landscape, while minimizing the new and challenging set of risks. Posted in Endowment Management, Inequality, Macroeconomics, The Library by Paul Dixon on November 23rd, 2014.